Would you like to be out of Pain? Gene Billingley, D.C., is a chiropractor located in Orlando, FL. Take the next step and contact Dr. Gene Billingley, D.C., for a consultation in Orlando, FL or to get more information. C Richard Bame, D.C., is a chiropractor located in Orlando, FL. Techniques: • Thompson • Cox • Activator Methods • Bio-Energetic Synchronization Technique • Diversified Take the next step and contact Dr. C Richard Bame, D.C., for a consultation in Orlando, FL or to get more information. Gary S Grossman, D.C., is a chiropractor located in Orlando, FL. Techniques: • Diversified Take the next step and contact Dr. Gary S Grossman, D.C., for a consultation in Orlando, FL or to get more information. Robert N Savage, D.C., is a chiropractor located in Orlando, FL. Techniques: • Diversified • Sacro Occipital Technique • Thompson • Activator Methods • Flexion-Distraction Take the next step and contact Dr. Robert N Savage, D.C., for a consultation in Orlando, FL or to get more information. Walter F Bartlett, D.C., is a chiropractor located in Orlando, FL. Techniques: • Logan Basic Take the next step and contact Dr. Walter F Bartlett, D.C., for a consultation in Orlando, FL or to get more information. Erik Lerner, D.C., is a chiropractor located in Orlando, FL. Techniques: • Toggle Recoil • Thompson • Gonstead • Pettibon • Chiropractic Biophysics Take the next step and contact Dr. Erik Lerner, D.C., for a consultation in Orlando, FL or to get more information. Gesarner Louisis, D.C., is a chiropractor located in Orlando, FL. Take the next step and contact Dr. Gesarner Louisis, D.C., for a consultation in Orlando, FL or to get more information. Julie Brooks, D.C., is a chiropractor located in Orlando, FL. Take the next step and contact Dr. Julie Brooks, D.C., for a consultation in Orlando, FL or to get more information. William Hoffmeister, D.C., is a chiropractor located in Orlando, FL. Take the next step and contact Dr. William Hoffmeister, D.C., for a consultation in Orlando, FL or to get more information. Steven K Newton, D.C., is a chiropractor located in Orlando, FL. Techniques: • Diversified • Activator Methods • Gonstead Take the next step and contact Dr. Steven K Newton, D.C., for a consultation in Orlando, FL or to get more information. David Inderwiesen, D.C., is a chiropractor located in Orlando, FL. Take the next step and contact Dr. David Inderwiesen, D.C., for a consultation in Orlando, FL or to get more information. Robert Fritz, D.C., is a chiropractor located in Orlando, FL. Techniques: • Diversified Take the next step and contact Dr. Robert Fritz, D.C., for a consultation in Orlando, FL or to get more information. James Finnie, D.C., is a chiropractor located in Orlando, FL. Take the next step and contact Dr. James Finnie, D.C., for a consultation in Orlando, FL or to get more information. Sadat Smith, D.C., is a chiropractor located in Orlando, FL. Techniques: • Manual Adjusting • Flexion-Distraction • Gonstead • Thompson • Sacro Occipital Technique Take the next step and contact Dr. Sadat Smith, D.C., for a consultation in Orlando, FL or to get more information. Richard W Robitaille, D.C., is a chiropractor located in Orlando, FL. Take the next step and contact Dr. Richard W Robitaille, D.C., for a consultation in Orlando, FL or to get more information. Gary G King, D.C., is a chiropractor located in Orlando, FL. Techniques: • Activator Methods • Diversified • Flexion-Distraction • Sacro Occipital Technique • Thompson • Traction • Arthrostim • Vibrocussor Take the next step and contact Dr. Gary G King, D.C., for a consultation in Orlando, FL or to get more information. John Staub, D.C., is a chiropractor located in Orlando, FL. Take the next step and contact Dr. John Staub, D.C., for a consultation in Orlando, FL or to get more information. Jose J Mauricio, D.C., is a chiropractor located in Orlando, FL. Take the next step and contact Dr. Jose J Mauricio, D.C., for a consultation in Orlando, FL or to get more information. Miguel Rivera, D.C., is a chiropractor located in Orlando, FL. Take the next step and contact Dr. Miguel Rivera, D.C., for a consultation in Orlando, FL or to get more information. Troy D. Yeomans, D.C., is a chiropractor located in Orlando, FL. Techniques: • Diversified • Activator Methods • Toggle Recoil • Thompson • Upper Cervical Take the next step and contact Dr. Troy D. Yeomans, D.C., for a consultation in Orlando, FL or to get more information. Rhett Harwell, D.C., is a chiropractor located in Orlando, FL. Take the next step and contact Dr. Rhett Harwell, D.C., for a consultation in Orlando, FL or to get more information. Vincent A Proscia, D.C., is a chiropractor located in Orlando, FL. Techniques: • Activator Methods • Diversified • Flexion-Distraction • Gonstead • Motion Analysis (Palpation) • Thompson Take the next step and contact Dr. Vincent A Proscia, D.C., for a consultation in Orlando, FL or to get more information. Mitchell Gaj, D.C., is a chiropractor located in Orlando, FL. Take the next step and contact Dr. Mitchell Gaj, D.C., for a consultation in Orlando, FL or to get more information. 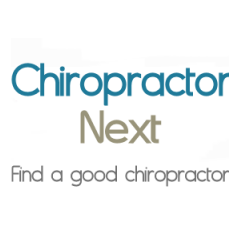 Robert Weatherwax, D.C., is a chiropractor located in Orlando, FL. Take the next step and contact Dr. Robert Weatherwax, D.C., for a consultation in Orlando, FL or to get more information. Daniel Giaquinto, D.C., is a chiropractor located in Orlando, FL. Take the next step and contact Dr. Daniel Giaquinto, D.C., for a consultation in Orlando, FL or to get more information. Jim Stephens, D.C., is a chiropractor located in Orlando, FL. Take the next step and contact Dr. Jim Stephens, D.C., for a consultation in Orlando, FL or to get more information. Gerald R Mattia, D.C., is a chiropractor located in Orlando, FL. Techniques: • Diversified • Gonstead • Sacro Occipital Technique • Thompson • Decompression Machine Take the next step and contact Dr. Gerald R Mattia, D.C., for a consultation in Orlando, FL or to get more information. R W Geldner, D.C., is a chiropractor located in Orlando, FL. Techniques: • Diversified Take the next step and contact Dr. R W Geldner, D.C., for a consultation in Orlando, FL or to get more information. SHIRLEY A. BIGLEY, D.C., is a chiropractor located in Orlando, FL. Take the next step and contact Dr. SHIRLEY A. BIGLEY, D.C., for a consultation in Orlando, FL or to get more information. John W Davidson, D.C., is a chiropractor located in Orlando, FL. Take the next step and contact Dr. John W Davidson, D.C., for a consultation in Orlando, FL or to get more information. David W Shaw, D.C., is a chiropractor located in Orlando, FL. Take the next step and contact Dr. David W Shaw, D.C., for a consultation in Orlando, FL or to get more information. Elaine T Blair, D.C., is a chiropractor located in Orlando, FL. Techniques: • Diversified • Sacro Occipital Technique • Activator Methods Take the next step and contact Dr. Elaine T Blair, D.C., for a consultation in Orlando, FL or to get more information. Robert J Esposito, D.C., is a chiropractor located in Orlando, FL. Techniques: • Diversified • Gonstead • Palmer Package Take the next step and contact Dr. Robert J Esposito, D.C., for a consultation in Orlando, FL or to get more information. Daniel Moroff, D.C., is a chiropractor located in Orlando, FL. Techniques: • Diversified Take the next step and contact Dr. Daniel Moroff, D.C., for a consultation in Orlando, FL or to get more information. Kenn A Niebrugge, D.C., is a chiropractor located in Orlando, FL. Techniques: • Diversified • Flexion-Distraction • Thompson Take the next step and contact Dr. Kenn A Niebrugge, D.C., for a consultation in Orlando, FL or to get more information. Kevin Lott, D.C., is a chiropractor located in Orlando, FL. Take the next step and contact Dr. Kevin Lott, D.C., for a consultation in Orlando, FL or to get more information. Ron Fulmore, D.C., is a chiropractor located in Orlando, FL. Take the next step and contact Dr. Ron Fulmore, D.C., for a consultation in Orlando, FL or to get more information. Jeffrey N Shebovsky, D.C., is a chiropractor located in Orlando, FL. Take the next step and contact Dr. Jeffrey N Shebovsky, D.C., for a consultation in Orlando, FL or to get more information. Jason A Mc Whiter, D.C.
Jason A Mc Whiter, D.C., is a chiropractor located in Orlando, FL. Take the next step and contact Dr. Jason A Mc Whiter, D.C., for a consultation in Orlando, FL or to get more information. Chris Catalfo, D.C., is a chiropractor located in Orlando, FL. Take the next step and contact Dr. Chris Catalfo, D.C., for a consultation in Orlando, FL or to get more information. John P Bellomo, D.C., is a chiropractor located in Orlando, FL. Techniques: • Diversified • Thompson • Activator Methods • Gonstead • Hole in One Take the next step and contact Dr. John P Bellomo, D.C., for a consultation in Orlando, FL or to get more information. Robert G Fogarty, D.C., is a chiropractor located in Orlando, FL. Techniques: • Pierce • Thompson • Hole in One • Diversified • Applied Spinal Biomechanics Engineering Take the next step and contact Dr. Robert G Fogarty, D.C., for a consultation in Orlando, FL or to get more information. Daniel J Pavlik, D.C., is a chiropractor located in Orlando, FL. Techniques: • Diversified • Gonstead • Thompson Take the next step and contact Dr. Daniel J Pavlik, D.C., for a consultation in Orlando, FL or to get more information. Diego Jativa, D.C., is a chiropractor located in Orlando, FL. Take the next step and contact Dr. Diego Jativa, D.C., for a consultation in Orlando, FL or to get more information.